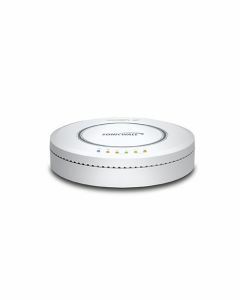 The SonicWALL® Clean WirelessTM solutions combine high-performance 802.11n technology with enterprise- class network security appliances to deliver unparalleled wireless network security and performance while dramatically simplifying the set-up and management of any 802.11-based wireless network. The solution is based on SonicWALL SonicPoint-Ni, SonicPoint-Ne and SonicPoint-N Dual-Band access points, which support the IEEE 802.11 a/b/g/n standards, to provide secure, higher speed access to data, voice and video over high-bandwidth wireless LANs. Scalable to networks of any size, SonicWALL SonicPoint access points require no pre-configuration, as they are centrally configured and managed by any current SonicWALL TZ or network security appliance – no additional wireless access controller is required.